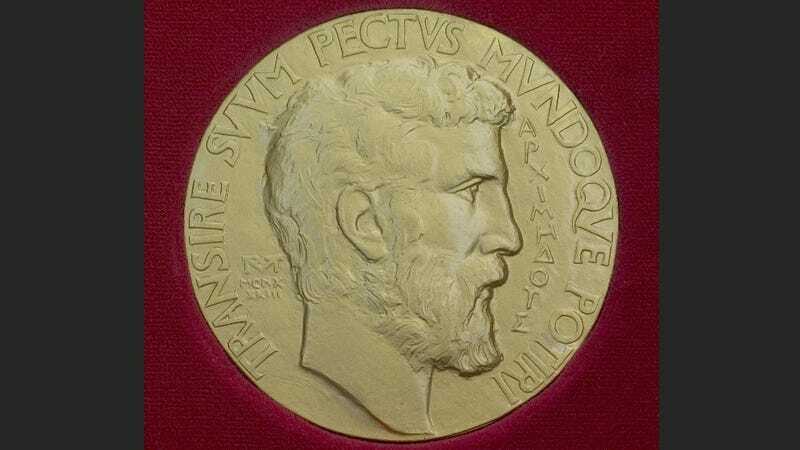 For the first time in its 78-year history, a woman has bagged a Fields Medal, essentially the Nobel Prize for mathematics. Born in Iran, Maryam Mirzakhani did her doctorate at Harvard and is currently a professor at Stanford. Obviously, she is terrifyingly brilliant. Mirzakhani described the number of ways a beam of light can travel a closed loop in a two-dimensional universe. To answer the question, it turns out, you cannot just stay in your "home" universe – you have to understand how to navigate the entire multiverse. Mirzakhani has shown mathematicians new ways to navigate these spaces. That sounds very impressive and Wrinkle in Time-ish! In a somewhat reassuring sign to those of us slowpokes, she apparently considers herself something of a tortoise in her work habits, plugging away at problems for years at a time. She told Quanta, "I don't get easily disappointed," adding that, "I'm quite confident, in some sense," and "months or years later, you see very different aspects" of a problem.